All the sights of Washington proudly demonstrate the greatness, importance and solemnity of American life. They are not just related to history or modern achievements, but also mean a lot to the country and its people. Although a big selection of things to see in Washington looks somewhat pompous and revealing, the city is worthy of world-class glory. 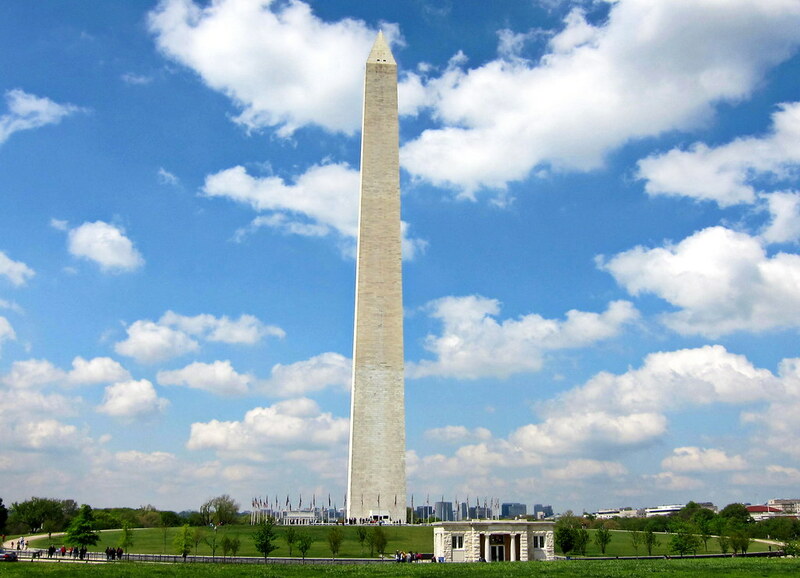 Washington’s National Mall is a magnificent park full of significant historical monuments of the American capital – this is one of the most popular tourist sites in the whole city. 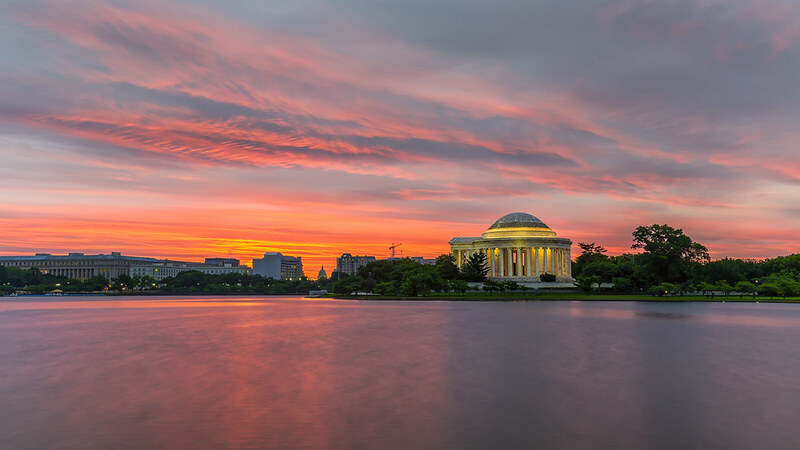 The major sights in the park are the Lincoln and Jefferson Memorials, the National Art Gallery, the National Air and Space Museum, as well as the National Sylvan Theater, where open concerts and many others events take place. Such annual festivals as the kite festival (at the beginning of March), Sakura blossom festival (end of March, beginning of April), Folklore festival (end of June, beginning of July), National book festival (end of September, beginning of October) are held on the territory of the National Mall. Walks, picnics, and a variety of entertainment make this place one of the most favorite holiday destinations among the locals – that’s why the National Mall is always crowded, noisy and full of fun. This unique sight is located in the city center, and the easiest way to get there is by metro. However, if you arrive at Washington by plane, it’s better to pick up Enterprise Reagan Airport rental car in order to find the National Mall hassle-free. The parks of Washington are a traditional resting place among locals. Great attention is paid to the picturesque Rock Creek Park, on the vast territory of which you can find a variety of entertainments. 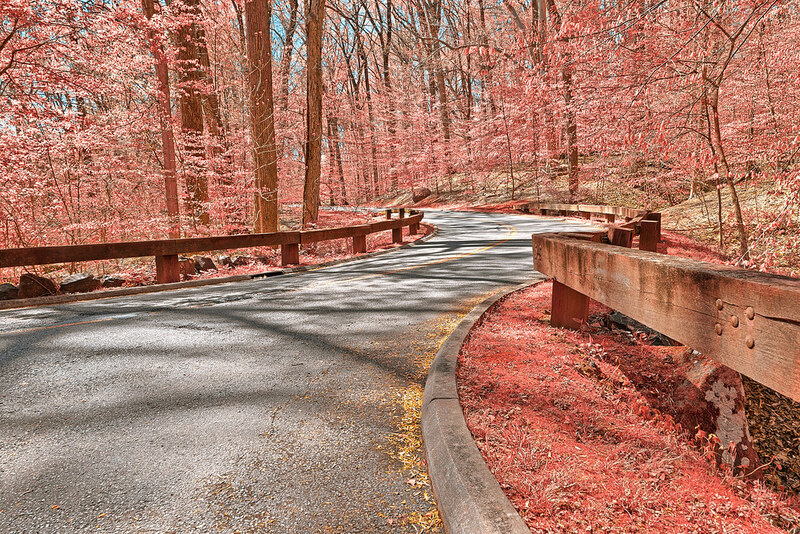 Rock Creek Park in Washington is an ideal place for walking, jogging, cycling and roller skating. What’s more, you can play tennis and golf, enjoy horse- and pony riding, go kayaking and canoeing, watch performances that take place on the stage of an open amphitheater, and visit zoo with the whole family. The park has a natural center and planetarium, as well as such historical monuments as the Old Water Mill and the Old Stone House. Rock Creek City Park is a wonderful national historic district of Washington DC. Such an amazing landmark of Washington, as the US Botanical Garden, is very popular among locals and tourists. It’s located in the eastern part of the city. 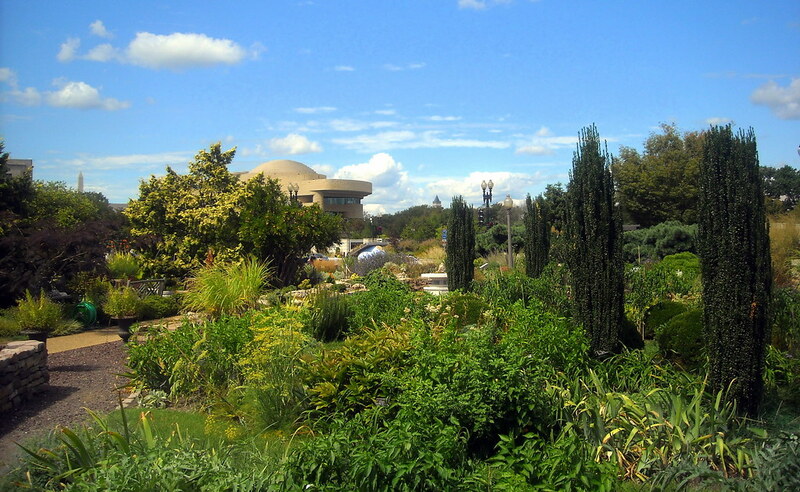 The Botanical Garden in Washington consists of three zones: the Conservatory, National Park and Bartholdi Park. The numerous greenhouses and natural areas are home for about 60,000 different plants. Each room of the greenhouse is a separate climatic zone: “Jungle”, “Desert” “Orchids” and others. Among exotic representatives are the chocolate tree and palm trees, cacti and orchids. Predatory plants are also of great interest. The park features an amphitheater, a butterfly garden, a garden of roses, and a garden of the First Lady. Washington parks are a favorite vacation spot for American residents and guests of the capital. Great Falls are several thousand years old. From an administrative point of view, these territories belong to Maryland and Virginia, but the waterfalls are located only 22 km away from Washington DC. So, you can get there by taxi or by car. The power, beauty, and grandiose streams of clear water – this is what tourists will see when they come there to admire this miracle of nature and take a photo against its breathtaking background. This picturesque place is very popular among the fans of such active outdoor sports as rafting, rock climbing and kayaking. In case you decide to visit it, remember that clothes and shoes should be comfortable. 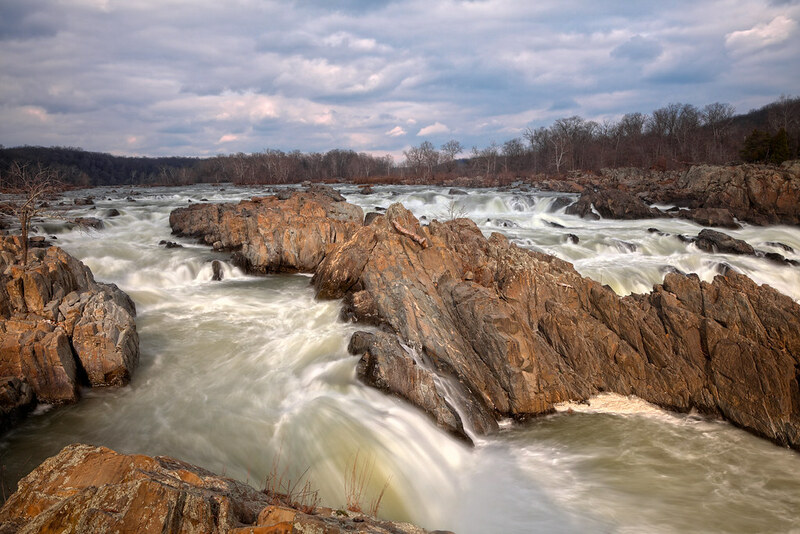 On both sides of the Potomac River you’ll find Chesapeake National Historical Park of Maryland and Virginia’s Great Falls Park. 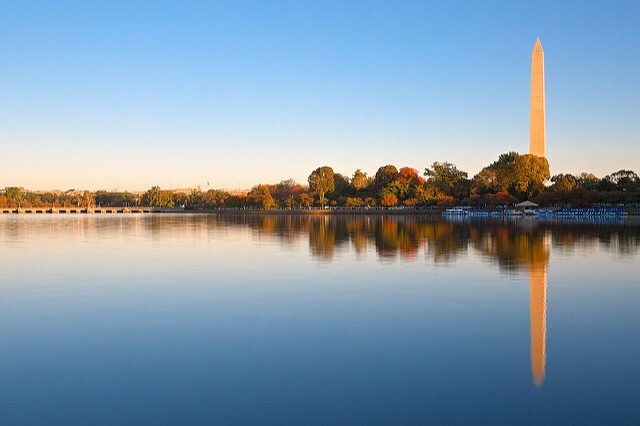 Washington DC boasts of many interesting places, and Tidal Basin is among them. This is an artificial reservoir, the banks of which are full of cherry trees. Of course, there are several monuments around the pond, including memorials devoted to Roosevelt, Jefferson and George Mason. This place is especially beautiful and spectacular in the spring, in late March or early April, when sakura blooms. Every year, at this time people come there to celebrate the two-week long Cherry Blossom Festival. The pond is located in the city center, in the western side of the Potomac Park. The easiest way to get to Tidal Basin is by car. If you intend to relax in the US capital in the spring, be sure to visit such a magnificent natural landmark of Washington as Tidal Basin, where you can enjoy the stunning view of flowering cherry trees while walking along the paths, as well as get acquainted with the city’s iconic historical monuments.